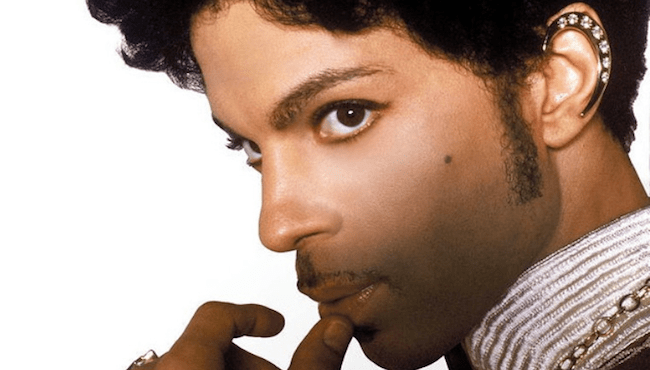 My Bumpy Road Through “Hollywood” — WHEN PRINCE WAS KING | Michael R. Barnard's Thoughts & Discussions. I remember Prince stopping me in the hall outside his apartment at Paisley Park Studios with a big grin on his face, saying “All the people in Hollywood are freaking out. They say, ‘Prince went and made a garage video! '” He enjoyed that, especially since it was a full three-camera shoot with a complete crew inside his brand-spanking-new mammoth sound stage at Paisley Park Studios. The video of ALPHABET STREET, which premiered on MTV way back in 1988, is now available on YouTube. Then Prince dropped another bombshell: He didn’t want to shoot any videos for the album. He boldly claimed to Warners’ incredulous marketing team that the absence of a video would distinguish him from other pop stars, as well as create a sense of mystery about the album. No one accepted the argument, but the label couldn’t force an artist of his stature to go in front of a camera. There would be no videos. Alan Leeds was among those beginning to harbor doubts about the direction of Prince’s career. After working for many years with James Brown, Leeds accepted inconsistent behavior, arbitrary demands, and frequent bouts of hubris as part and parcel of a brilliant artist’s character. And yet, Prince’s actions were in some respects even more erratic and unpredictable than Brown’s. On a gray late-winter day, as a snowstorm gained force and began coating the Minneapolis suburb of Eden Prairie, Leeds was happy to have a day off from the hectic and exhausting routine of catering to Prince’s every whim. It was warm inside, an NFL game was on, and Leeds was home with his family. As always, there were no pleasantries, no introductions. “I want to shoot a video,” Prince said in a quiet, clipped voice. Leeds had to press to find out exactly what this meant. Did he want to make a clip for Alphabet Street, after all? Prince said yes, and Leeds asked if he had spoken to Fargnoli about this. No, Prince responded, he wanted to shoot without meddling from the managers or Warner Bros. They would just screw things up. Leeds cautioned that this meant the budget for the video would come out of Prince’s pocket-didn’t it make more sense to contact Warners, which would readily approve financing for the video? “Sounds to me like that’s your problem, not mine,” Prince retorted. Leeds realized that, at the very least, he would have to placate Prince by placing some phone calls. Although the local community was not large, Leeds knew several skilled directors. Predictably, they refused the assignment. Working through his Rolodex, Leeds called filmmakers whom he considered B-List, and began to worry that even if someone agreed to take the job, the end result wouldn’t be worth the time, effort, or money. As Leeds waited for callbacks, Prince continued to hector him by phone, “When are we shooting?” he asked repeatedly, undeterred by Leeds’ warnings that no top-flight filmmakers were available. Prince told him to keep trying. Frustrated that a rare day off was being spoiled, Leeds continued his efforts and finally found a director, Michael R. Barnard, who was eager for the assignment. But the question remained: Could Barnard locate a facility and equipment? The afternoon dragged into evening, and the snow kept falling. Prince kept barraging Leeds with phone calls. Finally, Barnard called: The shoot was a go. He had located a facility owned by a cable television company, as well as a truck full of basic equipment typically used to cover city council meetings for local access channels. Leeds, not surprised that matters had come to this, called Prince and told him the shoot was on. Didn’t your mama tell U life is 2 good 2 waste? 3rd eye girl, Alex Hahn, alphabet street, artist formerly known as prince, black album, lovesexy, mtv, music, paisley park, Possessed: The Rise and Fall of Prince, prince, the symbol, video, warner bros.
Thats why i couldn’t find one piece of clip of Alphabeth street ! I needed that to make a tribute to Prince last weekend. To bad realy enjoyed the clip though…..Too bad that it is banned on Youtube.